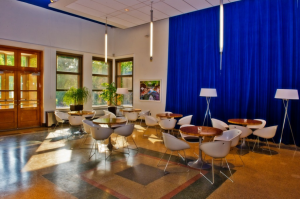 Just blocks from the Université du Québec à Montréal, the Pèlerin Magellan restaurant has a three-level terrace, two of which are reserved for the guests of CARTO 2014 the evening of June 17. The restaurant occupies a period building, typical of the French-Canadian bourgeois houses of the early twentieth century. The interior is decorated with wood paneling and the walls are adorned with beautiful old maps honoring cartographers and travelers from another era. The icebreaker will highlight the recent publication of the book Historical GIS in Canada edited by Marcel Fortin and Jennifer Bonnell ( University of Calgary Press, 2014). The book presents 13 Canadian projects using geographic information systems for historical research. Located on the avenue Viger, in the former École des hautes études commerciales of Montreal, BAnQ Vieux-Montréal preserves over 24 linear kilometers of archives that constitute a coherent set of remarkable historical wealth. These archives allow us to follow the evolution of Quebec society since the beginning of European settlement to the present. The site visit by archivists Florian Daveau and Paul-André Leclerc also includes a presentation of some cartographic treasures kept in the building. 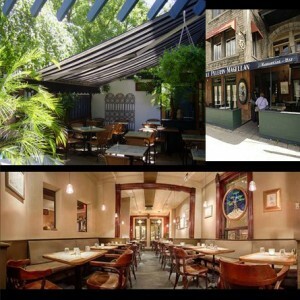 The bistro Espace La Fontaine, located in the heart of La Fontaine Park, is a cultural gathering place. The cocktail reception will be held on the terrace of the bistro that overlooks the pond. The reception hall gives access to a beautiful veranda overlooking the park. The place hosts exhibitions of works of art and various shows. A self-guided visit of the permanent exhibition “History and Memory” followed by an exclusive presentation of old maps selected from the Museum’s collection, covering the 15th to the 18th centuries. 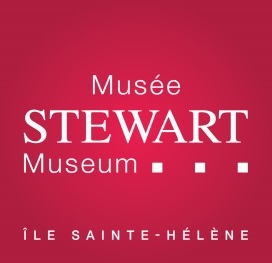 The Stewart Museum, a private, non-profit history museum, was founded in 1955 by philanthropist David M. Stewart. The institution holds a unique collection of nearly 27,000 artifacts, archival documents and rare books that show the European presence in New France and North America up to the present. Although, the Museum has the largest collection of ancient cartography and cosmography conserved by a private museum in Québec, nearly 600 maps. The Museum’s main mission: to conserve and exhibit objects, which relate to the voyages, scientific advances, feats of arms, beliefs and daily life of our ancestors. 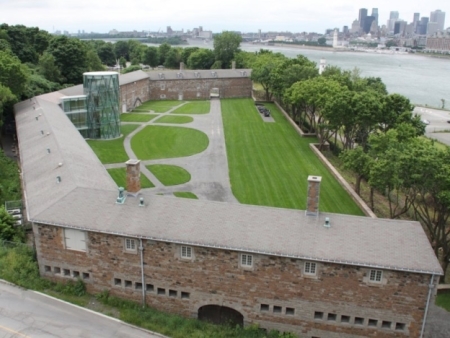 This Montréal organization is located in the arsenal of the British fortified depot on Île Sainte-Hélène, a 19th century military construction registered in the Répertoire du patrimoine culturel du Québec. To get there by subway (from the metro station Berri-UQAM): Yellow line direction Longueuil-Université de Sherbrooke. Get off at Jean-Drapeau station. The museum is a 12 minute walk from the metro.